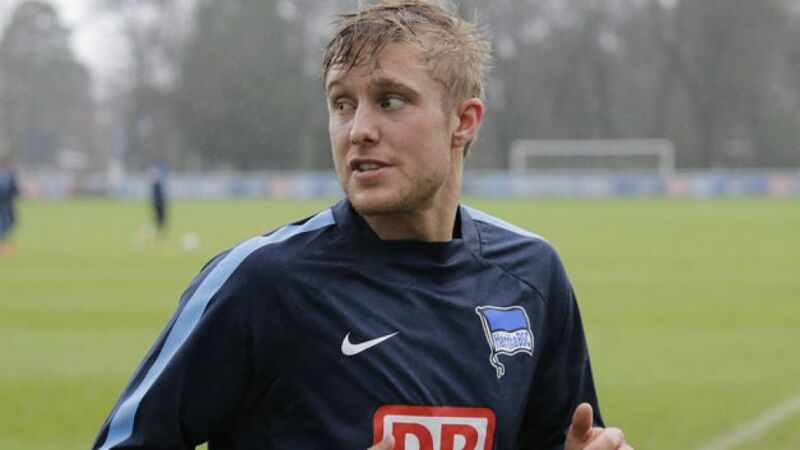 Belek - Hertha Berlin enjoyed a productive first day at their winter retreat in Turkey on Monday, with only midfielder Per Skjelbred absent from training. The 27-year-old had been suffering with a calf problem as the team departed for the Mediterranean on Saturday, but head coach Jos Luhukay confirmed the injury was not serious. "Per just had some tightness in his calf," said the 51-year-old, before adding that the Norwegian international is likely to train with the rest of the team on Tuesday. The trip to Turkey provides an ideal opportunity for left-sided utility man Nico Schulz to once again show what he can do for the club he has represented since 2000. Alongside Johannes van den Bergh, the 21-year-old found another competitor for his position in Marvin Plattenhardt at the start of the season, but his consistent form this term has established him as the club's first-choice left-back. "My first thought was: "Right, more competition". But at the end of the day that's good for the team," he told the club's official website herthabsc.de. Having made 36 Bundesliga appearances, 13 of which have come this season, Berlin-born Schulz is now looking to emulate one of the legends in his position in order to cement his status as a fan favourite at the club where he belongs. "Ronny getting his daily fill of fruit."